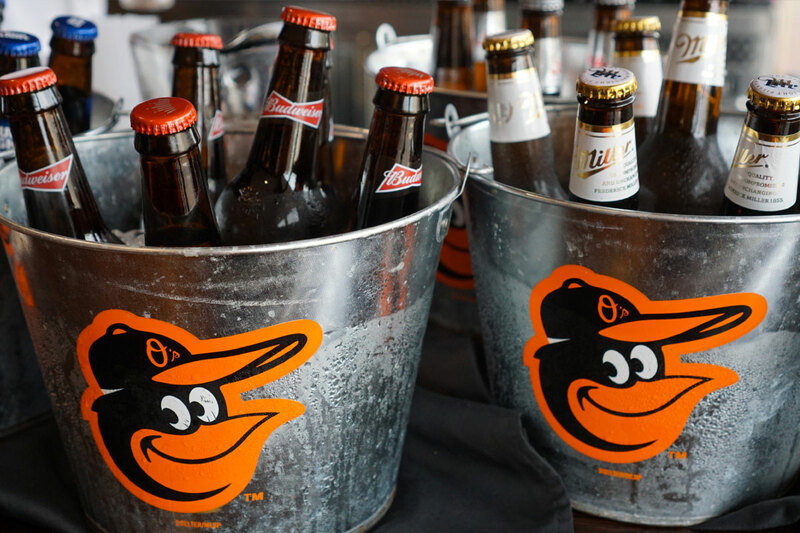 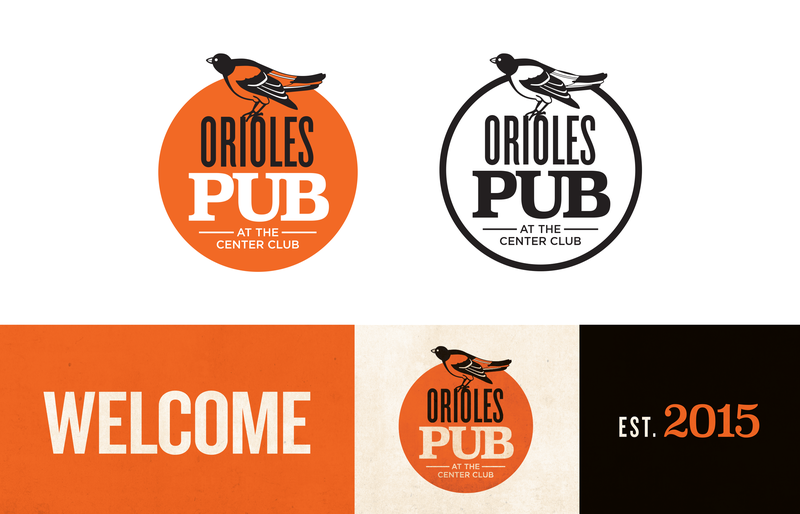 Veri was honored to be able to create branding for the Orioles Pub located at the Center Club in Baltimore. 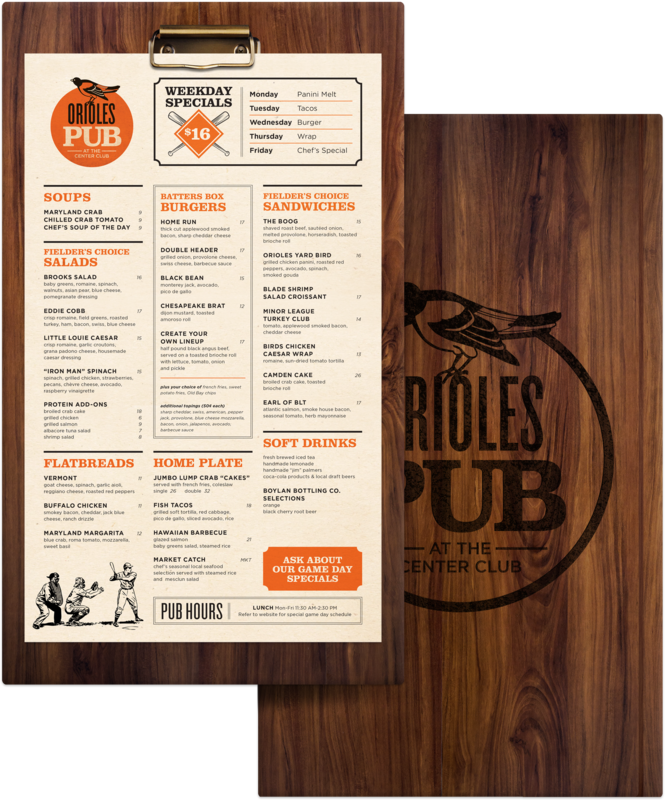 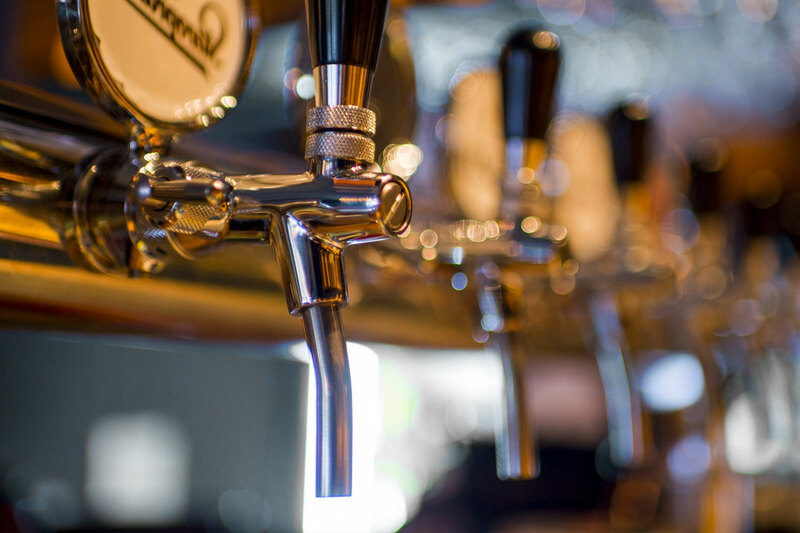 The project included coming up with a new logo, menu, menu boards and pub signage. 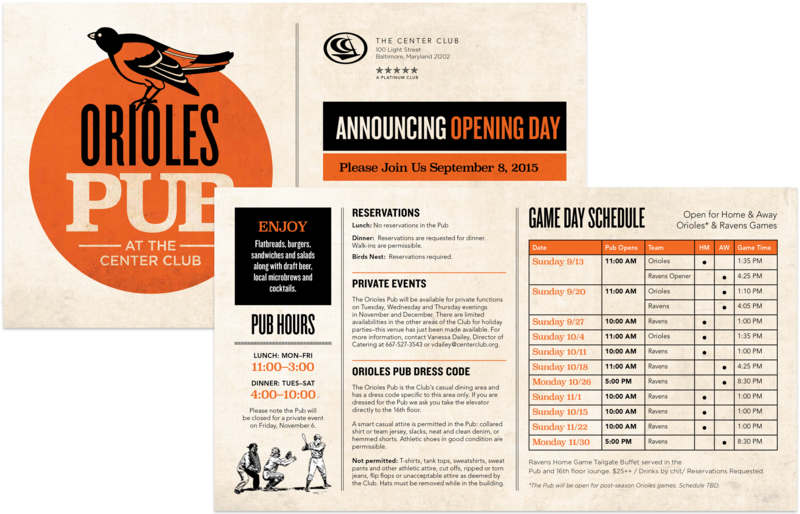 Veri also designed and installed frosted window graphics of jersey numbers for each of the Orioles Hall of Fame inductees. 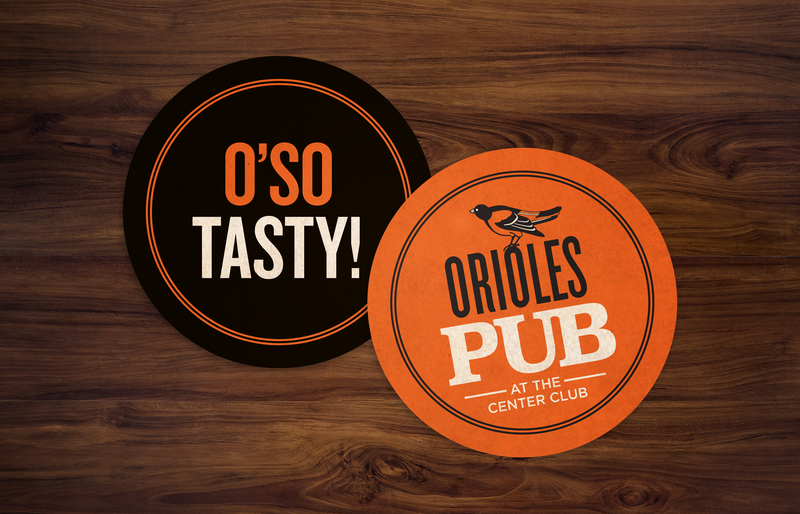 Go O's!